Today Kemba Credit Union announced that it will construct a new headquarters in West Chester Township. After continued growth, the company made the decision that it needed more capacity to serve its 11 branch locations. The project will result in the construction of a new headquarters facility and create 40 new jobs in West Chester Township. The announcement comes after the approval by Butler County of a seven-year, 75% property tax abatement through the enterprise zone program and an economic development grant from JobsOhio. Through organic growth and strategic acquisitions, Kemba Credit Union has experienced a significant increase in members. As a result, the current headquarters is at capacity. 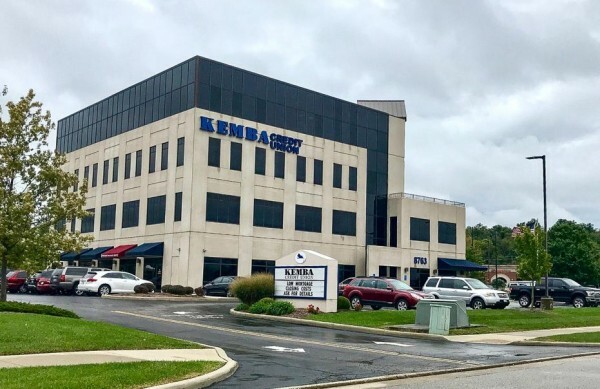 Kemba Credit Union considered several locations for its new headquarters and ultimately chose to expand adjacent to its current facility in West Chester Township and Butler County. “Kemba’s continued investment into Butler County is a testament to our region’s commitment to working at the speed of business and being a good partner,” said Cindy Carpenter, President of the Butler County Commission. “Butler County has been leading the state in job growth as well as wage growth, and this announcement signals a continuation of our incredible development and that we get things done. Kemba Credit Union is a not-for-profit financial institution dedicated to serving the financial needs of its members. Kemba serves more than 98,000 members and more than 840 companies, with 11 branches in the Greater Cincinnati area. For more information visit Kemba.com. The Regional Economic Development Initiative (REDI) Cincinnati is the first point-of-contact for companies locating or growing in the 15-county region at the heart of Southwest Ohio, Northern Kentucky, and Southeast Indiana. REDI is supported by top business leaders and community partners and staffed by a team of economic development experts who are uniting the Greater Cincinnati region to compete globally. JobsOhio is a private, nonprofit corporation designed to drive job creation and new capital investment in Ohio through business attraction, retention and expansion efforts. JobsOhio works with six regional partners across Ohio: Appalachian Partnership for Economic Growth, Columbus 2020, Dayton Development Coalition, REDI Cincinnati, Regional Growth Partnership and Team NEO. Learn more at www.jobs-ohio.com.Follow us on LinkedIn, Twitter and Facebook.